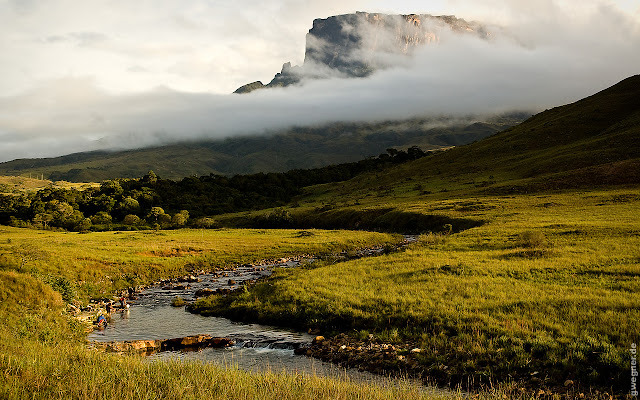 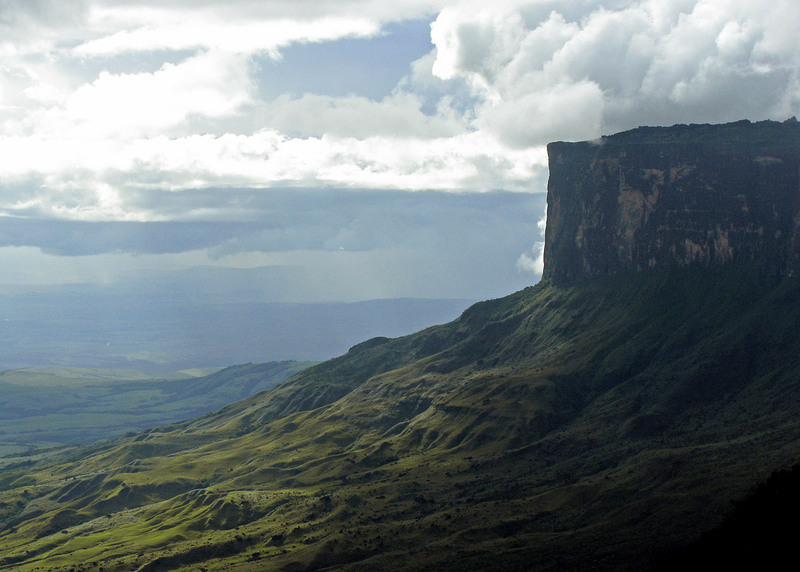 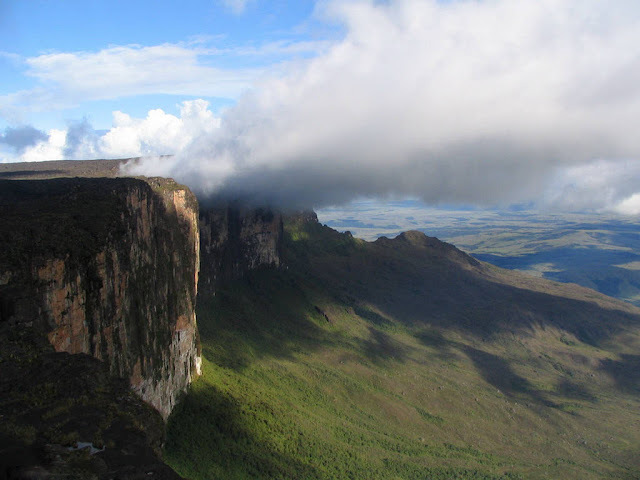 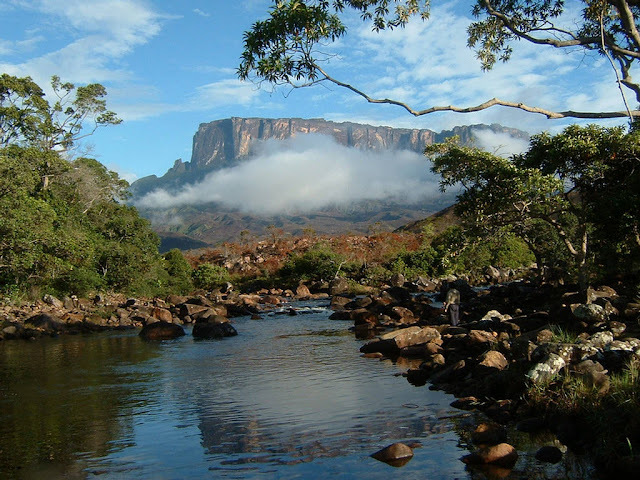 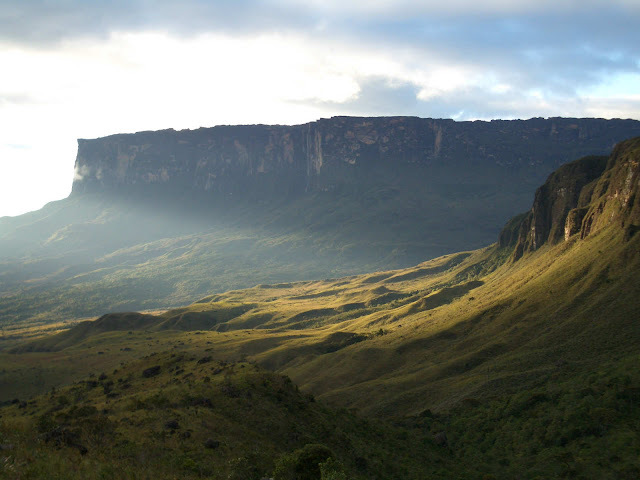 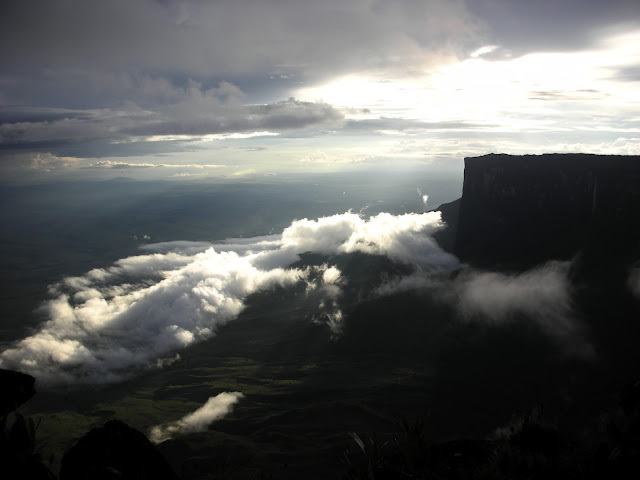 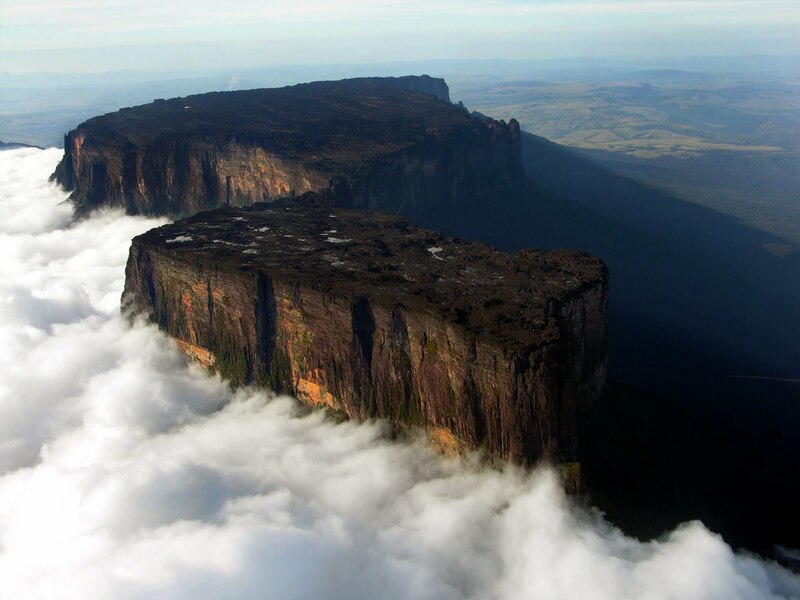 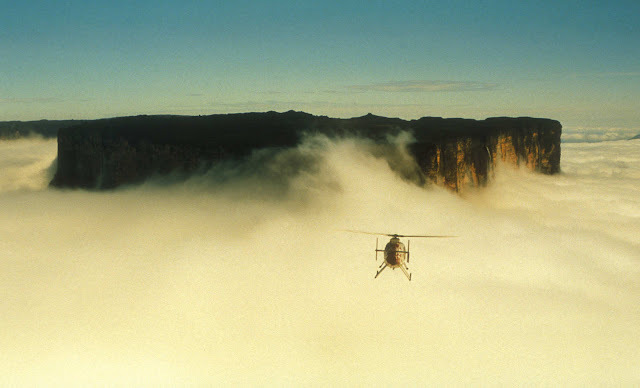 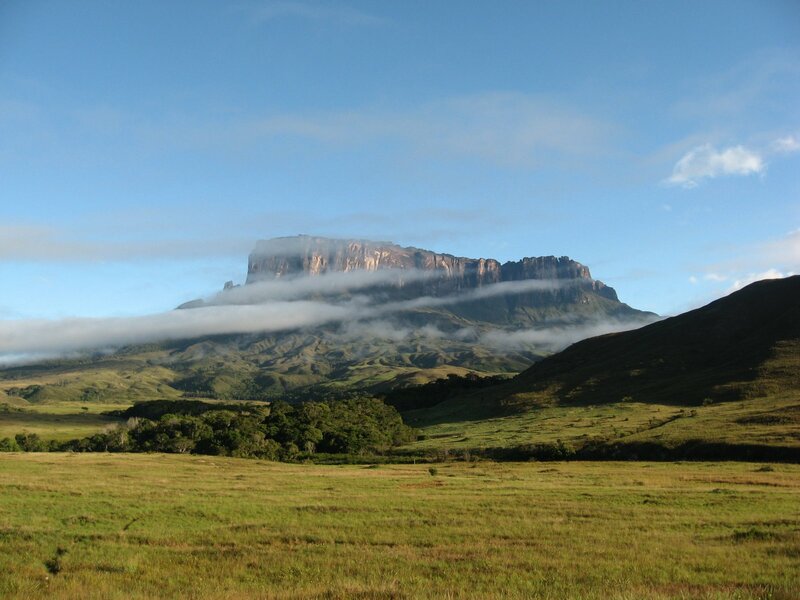 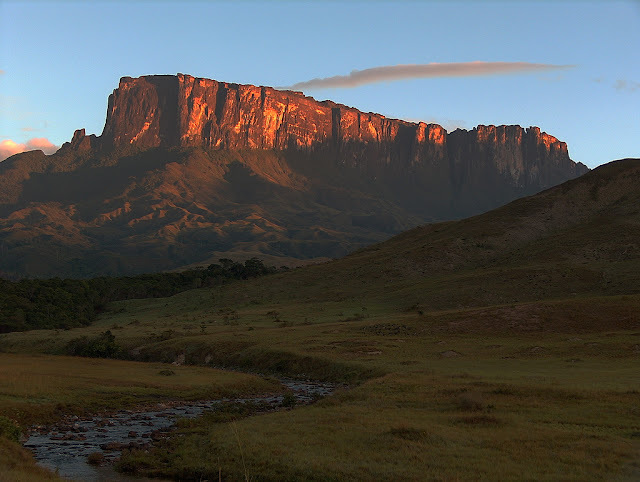 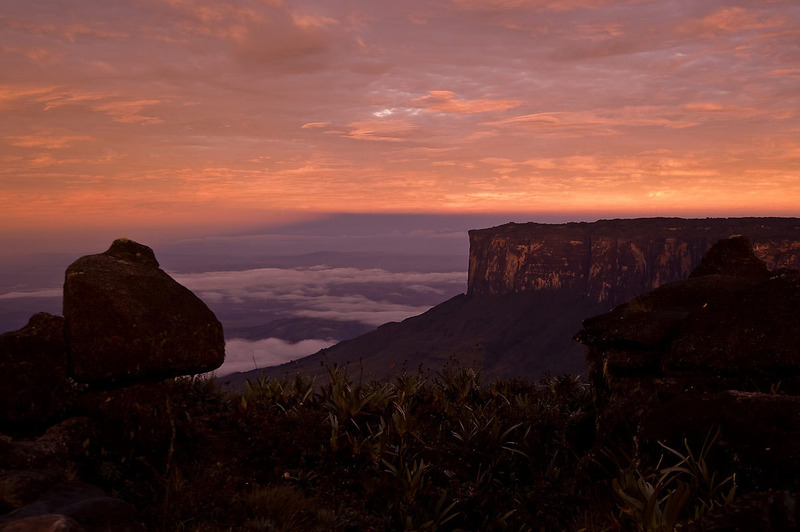 Mount Roraima is a pretty remarkable place. 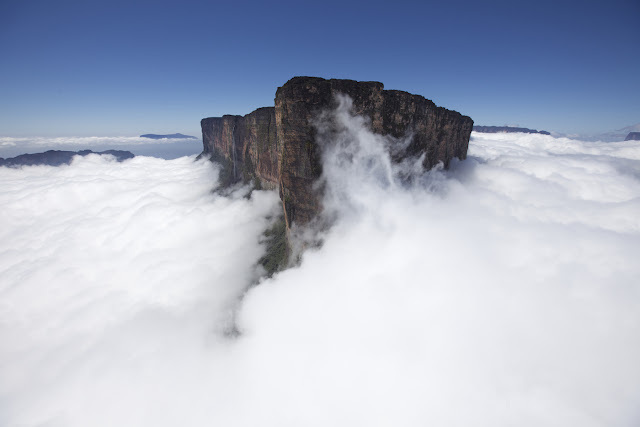 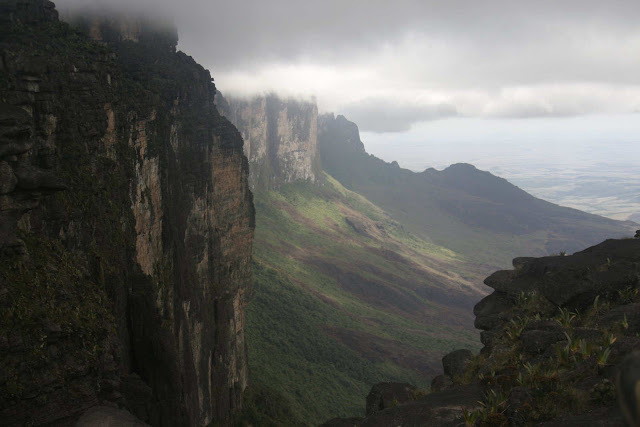 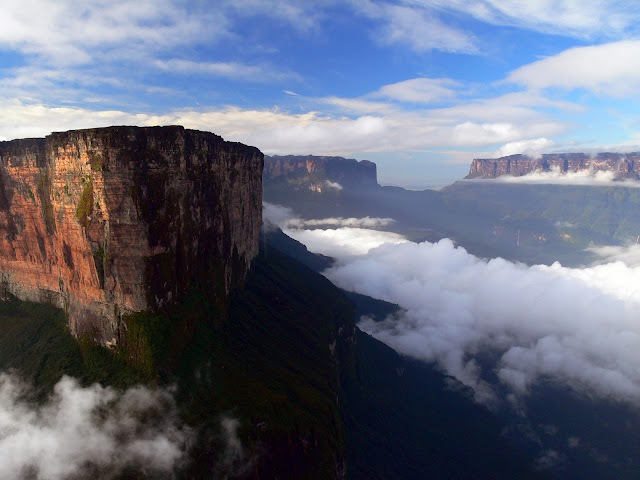 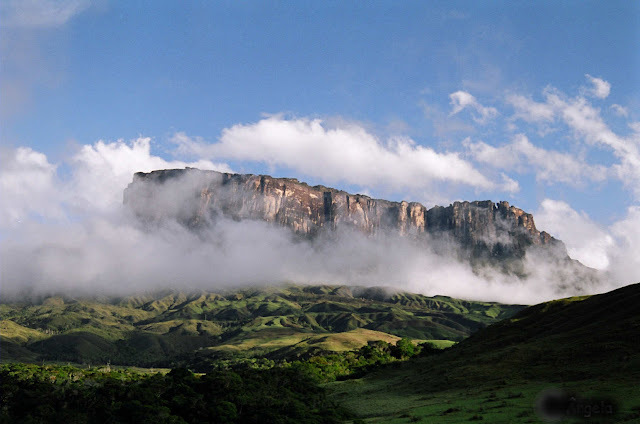 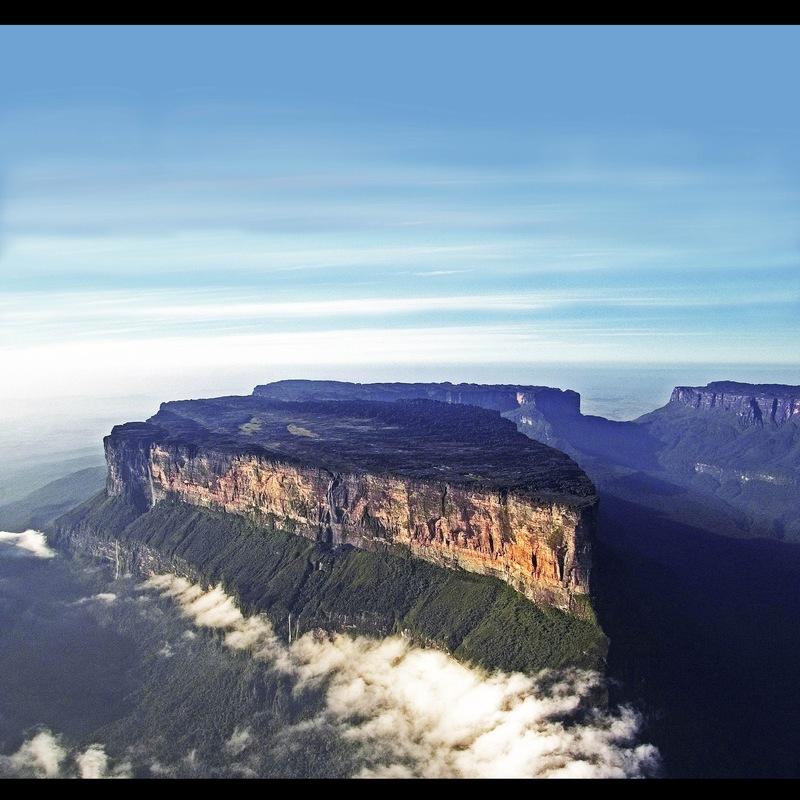 It is a tabletop mountain with sheer 400-metre high cliffs on all sides. 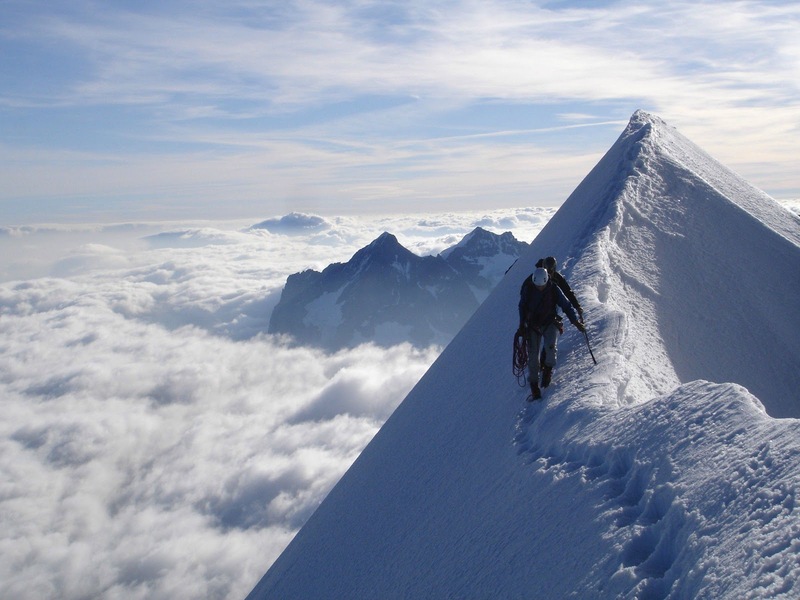 There is only one ‘easy’ way up, on a natural staircase-like ramp on the Venezuelan side – to get up any other way takes and experienced rock climber. 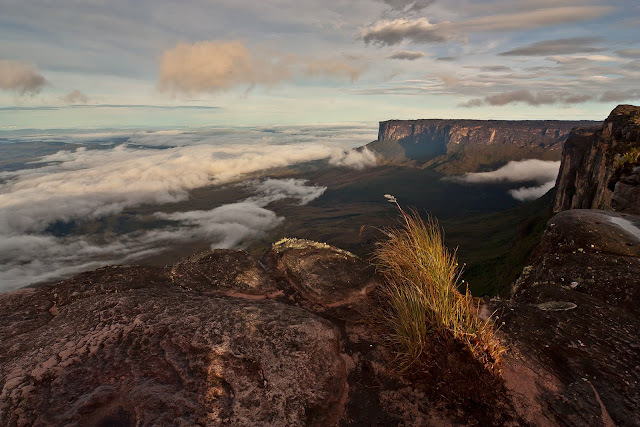 On the top of the mountain it rains almost every day, washing away most of the nutrients for plants to grow and creating a unique landscape on the bare sandstone surface. 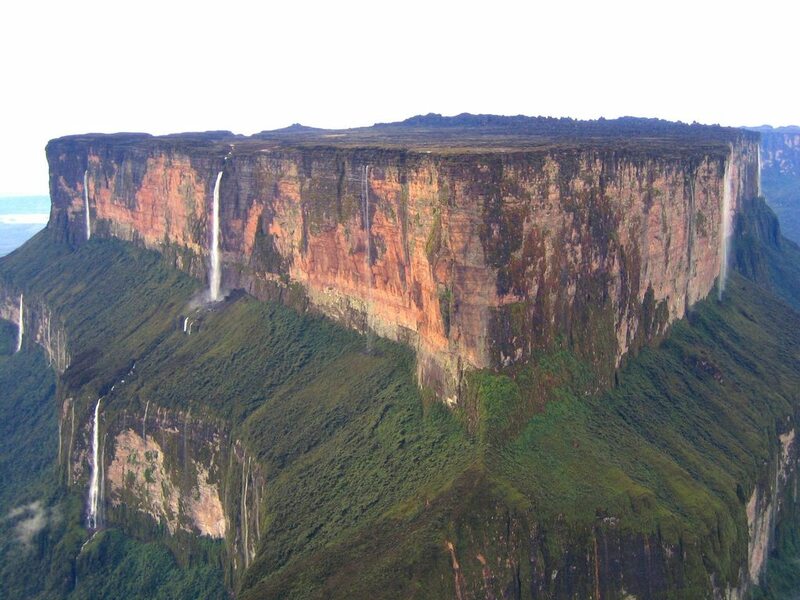 This also creates some of the highest waterfalls in the world over the sides (Angel falls is located on a similar tabletop mountain some 130 miles away). Though there are only a few marshes on the mountain where vegetation can grow properly, these contain many species unique to the mountain, including a species of carnivorous pitcher plant.